Assam has been made by the contributions of several people who have made their inputs in various ages. Assam has been enlightened by the presence of these people since its birth. All of them contributing in various spheres of life have been of great importance to the Assamese Society, Culture, Education etc. Their lives have inspired a whole generation of Assamese and continue to inspire Assamese and others all around the world. Born in Dhaka on 31 January 1909 Bishnu Prasad Rabha is one of the pioneers of Assamese music and art. 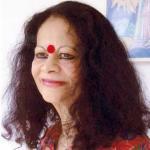 A doyen of the Arts, he is popularly known as Kala Guru among assamese peoples. He was a multifaceted artist and revolutionary singer of Assam. His music, today, is known as 'Bishnu Rabha Sangeet'. Syed Abdul was one of the most widely known and popular writers in Assamese literature. Syed Abdul Malik was born in 15th January 1919 at Naharani Village of Golaghat district. His Father Syed Rahmat Ali and mother Syeda Lutfun Nissa. Syed Abdul Malik took to fiction writing at an early age. His first novel, La Sa Gu, was published in series in a monthly magazine Banhi in 1945-46. Aideu Handique or Aideu Nilambar Handique also known as first assamese film(Joymati) actress was born in 1915 into a poor family in Panidihingia,Golaghat Assam. She starred in the film Joymati (1935) which was Directed & Produced by Jyotiprasad Agarwala and Written by Lakshminath Bezbaruah. Swaheed Kanaklata Barua was one of the leader in Assamese women in Indian independence movement. She was from Barangabari under Gohpur police station in the district of Sonitpur (previously Darrang). She was gunned down by the British armed Police along with Mukunda Kakati in front of Gohpur Ploice Station in 20 September1942. The first president of Asom Sahitya Sabha held in Sivasagar in 1917 Padmanath Gohain Baruah was born in 24 October, 1871, North Lakhimpur. From childhood he was very bright and also interested in multiple fields. Padmanath Gohain Barooah was the founder-secretary of the historical Baan Stage, at Tezpur in central Assam. Laxminath Bezbarua the author of Assamese journal Jonaki (1889), which begins the period of modern assamese literature. Thus began the Jonaki period of Assamese literature. Laxminath Bezbaruah popularly known as Rasaraj(Some people says Roxoraj) or 'The King of Humour' born in November 1868.